1,567,016 candidates registered for the examination, out of which 1,559,162 candidates sat the examination. Of the total nunmber of candidates that sat for the exam, 829,853 were male and 729,309 were female, representing 53.22% & 46.27% respectively. Out of the total number of candidates that sat for the exam, 1,471,151, representing 94.36% have their results fully processed & released. 95,734 candidates, representing 5.64% have a few of their subjects still being processed due to errors traceable to the candidates. Such errors are being corrected & the results will be fully processed and released subsequently. 1,490,356 candidates, representing 95.59% obtained credits and above in two (2) subjects. 1,436,024 candidates, representing 92.44% obtained credits and above in three (3) subjects. 1,357,193 candidates, representing 87.05% obtained credits and above in four (4) subjects. 1,243,772 candidates, representing 79.77% obtained credits and above in five (5) subjects. 1,084,214 candidates, representing 69.54% obtained credits and above in six (6) subjects. 923,486 candidates, representing 59.22%, obtained minimum of credits in 5 subjects & above, including English Language & Mathematics. 214,952 candidates’ results, representing 13.79% are being withheld in connection with various reported cases of exam malpractice. The cases are being investigated & reports of the investigations will be presented to the NEC in due course for consideration. The Committee’s decisions will be communicated to the affected candidates through their schools. The candidates can check their results online on the council’s website within 24 hours of the declaration of the results. I sat for my exams in government school, and up to now we are unable to get our result, what happen? My result is held why? @probian_, malpractice is the main reason why WAEC seize results. WAEC decide whether to release it or not. @probian_, WAEC will release it as soon as they are done with their investigation. 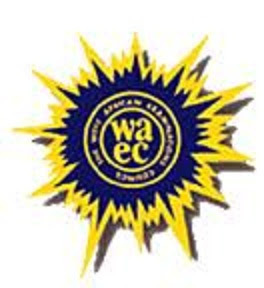 @lionel wakito, go to any WAEC office nearest to you. I know it will be out soon…that’s what you always say…but when exactly cause the university I applied is waiting for it..when exactly will Ghana’s result be released? so when will WAEC release Ghana’s wassce results? @eddie, it will be out very soon. @ottexchris, follow the procedures outlined up there. Pls can sum1 wit D7 in government Study law or Masscomm in d university?